Emotional items are prioritized by attention, particularly among individuals who report high levels of anxiety. This investigation seeks to understand the consequence of the association of neutral stimuli with emotionally arousing stimuli and whether these items are then prioritized by attention. We also examined the influence that exposure to emoitonally arousing materials during encoding has on memory retrieval. Finally, we examined whether these effects are greater in individuals that report high anxiety or high worry. 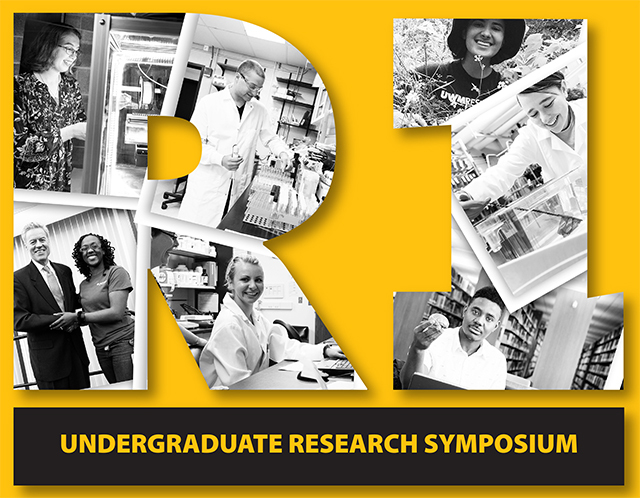 Eighteen UWM undergraduate students participated in this three phase eye tracking experiment. First, during an incidental encoding phase, participants were instructed to view a set of scene-face pairs. Half of the scenes were negative and half of the scenes were neutral. Next, in an attention phase, participants passively viewed three-face displays that included previously seen faces and new faces. Lastly, a test phase required subjects to identify the face that was previously paired with each scene in the encoding phase. Following the test phase, the State-Trait Anxiety Inventory (STAI) and Penn State Worry Questionnaire (PSWQ) were administered to each participant. Results indicated that there were early viewing time differences for faces that were encoded with negative scenes as compared to neutral scenes, but only for participants who reported "high worry" on the post-experimental questionnaires. No memory differences were observed between neutral and negative scene-face pairs in either explicit recognition responses or eye movement behavior. In conclusion, neutral items that have been paired with emotionally arousing materials seem to be prioritized by attention, which suggests that they may acquire aversive emotional value as a consequence of the pairing, at least among the subset of participants who report high worry. This outcome may have implications for psychiatric disorders that are characterized by excessive levels of worry.